Guns, gene-altering chemicals, and fear are apparently all big business in the flying city of Columbia. One of the great things about a game like BioShock Infinite, for the player at least, is that by being set in the past - in this case 1912 - it opens the door up to some older styles and designs that you wouldn't normally see in a videogame. It seems that Irrational rather enjoy this aspect of the game too, as it's showing off three pieces of artwork that could have leaped fully formed out of the past. 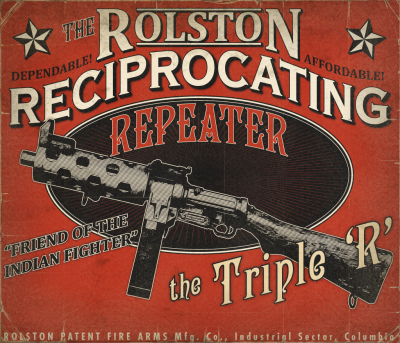 The first pieces is an advertisement for one of the games many "vigors" - BioShock Infinite's version of the original BioShocks plasmids - and the second is for a repeating rifle, dubbed "the friend of the Indian fighter." 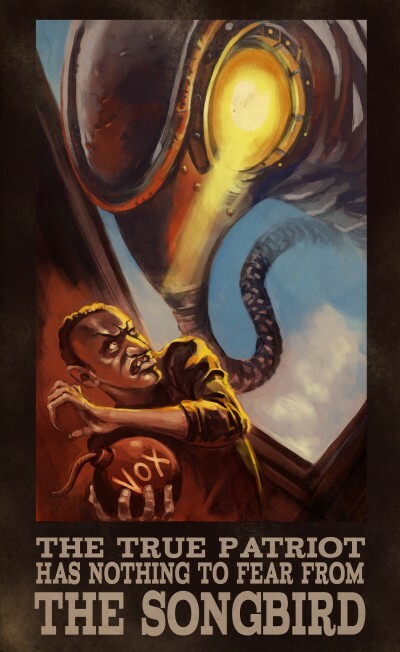 The final piece is an example of Founder propaganda, depicting the rebellious Vox Populi faction as sub-humans who must hide from the "Songbird," a huge mechanical bird-like creature who, when it isn't dispensing "justice," also serves as Elizabeth's - the character the player has been sent to rescue - guardian. 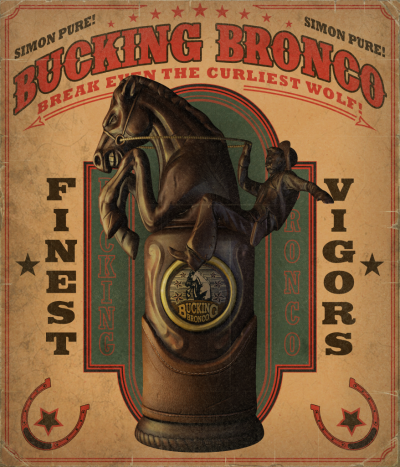 It can also been seen at the end of the BioShock Infinite gameplay trailer, albeit briefly. The ads are the work of Irrational artist Mike Swiderek, while the propaganda poster was made by Jorge Lacera. All three will appear in the game, and in the case of the two ads, the items will also be available for the player to use. The player will undoubtedly meet the Songbird as well, but that's probably going to be a slightly more tense encounter. Hopefully, they will also appear in stores one day, as any one of them would look great hanging on the wall in poster form. BioShock Infinite is scheduled for release on PC, PS3, and Xbox 360 some time in 2012.